In most situation you aren’t going to need much interaction with your RC models other than to control their movements. However an RC tractor is much more complex, you have to control the drive, steering, lights and any other accessories you add. In addition you might have a fleet of tractors you want to controlÂ and if you added enough switches for everything you would end up with something resembling a 747 engineers panel. The obvious solution is to use an LCD to navigate a menu allowing you to change the function of a small number of switches so that they do different things for each vehicle. LCD displays come in many different sizes and shapes now and they can mostly be picked up rather cheaply. 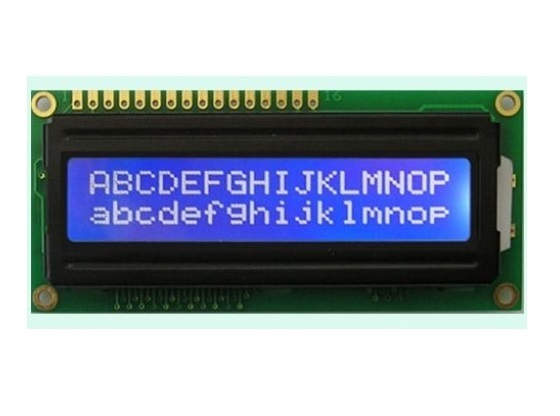 If you simply want to view a text menu then a character LCd is what you need. They come in many dimensions but the most common is the 16 character by 2 line configuration. If you want a more complex screen with images and symbols you can get a colour LCD module, usually from a mobile phone. These can also come with touch screen functions but they require much more pins to control. This is a video I done on the basic of controlling a HD44780. I go through the process of settingÂ it up and beginning to enter charactersÂ in aÂ step by stepÂ manner. I’ve created a blog post about using an LCD keypad shield we received from IC Station. This shield is great because it includes some control buttons which are wired in a resistor ladder configuration to minimise the amount of Arduino control pins required. You can find the blog post here. In the video below I discuss theÂ LCD keypad shieldÂ and I talk about how to control the board. Then at the end I show an example of it being used to controlled an RC Hitachi Zaxis 210.